Why Isn’t Rakuten Promoting Kobo on Its Many Retail Websites? When Rakuten bought Kobo in November 2012 many assumed that this retail powerhouse would throw their weight behind Kobo and use their retail presence in numerous markets to build up Kobo's market share and (hopefully) take the Kindle down a peg or two. One thing that might hold the Kobo back is the surprising lack of cross promotion through its owner Rakuten's other big UK business, play.com, in stark contrast to Amazon, where the Kindle is aggressively pushed through the retailer's home page. play.com has closed its retail business after the Government stopped it selling goods free of VAT out of Jersey. It is now focused on acting as a marketplace for others. But why that should stop it from pushing Kobo is a mystery. That's a good question and it's one with no obvious answer. Here in the US Rakuten owns Buy.com, but there's no mention of Kobo on the front page. The situation is the same on the UK-based Play.com website as well as on Rakuten.co.jp and Rakuten.com.br. These are not minor retail websites, and they do millions of dollars in business each day. And yet Rakuten isn't using them to promote Kobo nor is there any kind of cross-promotion (like a section heading for eBooks or Kobo directing customers to sister websites). 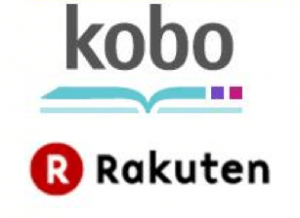 You really have to wonder exactly how committed is Rakuten in supporting Kobo, don't you? It certainly looks like Rakuten is putting less work into promoting than Amazon is investing in the Kindle. Have you seen the Amazon.com homepage recently? There's not one but 6 different banners on the Amazon homepage which promote the Kindle hardware, software, or content. From the outside it looks to me like Kobo has some support at Rakuten HQ but not absolute support. That would explain the purchase but less than complete support in promoting the platform. And if that is an accurate summation then Kobo is one internal Rakuten power struggle away from losing what little support it now has. If someone wants to present an argument that Kobo is not the red-headed stepchild of the Rakuten corporate family I would love to read it. I don’t think Rakuten/Kobo is all that interested in pushing their devices in the US market. They dominate France, are doing well in South America, and are promoting their devices in Japan and China, in the local languages, as well as in other countries such as Italy and South Africa. Rakuten’s chairman seems to me (from his [Japanese] blog and public statements) to be strongly behind the Kobo line and the recent deal with Kodansha is significant because they will get a huge amount of local content for Kobo. You do realize that the Wired story is over a year old, right? Rakuten is a much more profit orientated company than Amazon, as the closure of their business in China shows. By all accounts Kobo is a money loser. Indeed other than Amazon it’s doubtful that any ebook retailer is making much money, if any. One suspects that even Amazon’s margins are quite low. Difficult to see how Kobo actually maps onto that. In that case why did Rakuten buy Kobo at all? I’m not disagreeing with you, but your comment makes me struggle to see their justification for taking on a money losing operation (which Kobo probably is) if it doesn’t fit with their other business model. The Chairman wanted it but the retail-site heads didn’t. Sounds like the fiefdoms are independent kingdoms that give lip service to the CEO but do what they please. Some japanese companies seem to be structured like integrated multinationals but operate more like keiretsus or federations and the nominal Boss is not always the boss. I also remember reading how the CEO of Indigo panicked when Rakuten wanted out of the deal. Or so they claimed. Mergers and acquisitions are another form of Texas Hold-Em. Who’s bluffing? They eventually settled for a bargain basement price. Rakuten may be waiting until Kobo expands into music, video, apps etc? This would fit with my point about Kobo not having complete support inside Rakuten. Do you have a link? I suppose the lack of cooperation is because the the retail sites don’t want to give up the income lost (to them) by building up Kobo. That’s arguably a sign of a serious structural flaw in Rakuten. If the components won’t work as a cohesive whole then at some point the disunity could hurt them. About the Sony or the Olympus division chiefs warring with their CEO? Kutaragi ignored his mandated maximum build cost on the gold-plated launch PS3 and then added an unathorized 20MB model. He ended up costing Sony something like 8billion. In dollars, not yen. The Olympus CEO was finally ousted, sued, and forced an exposure of decades of malfeasance. Rakuten? Nothing has exploded yet that I’ve seen. But it seems to fit the pattern. One more thing: for a company like that, a $300 million investment in a hobby to keep an exec happy is hardly unheard of. Steve Jobs called Apple TV just that, no? Those are the kind of issues I expected. These companies sound like they use the same operating principles as the Penn Central did during the year between the merger and the bankruptcy. I’m surprised more of them haven’t gone out of business. And yes, Rakuten can afford to throw around $400 million just because the CEO wants to. But that is also a sign that Rakuten isn’t going to be the global competition to Amazon that many expected.